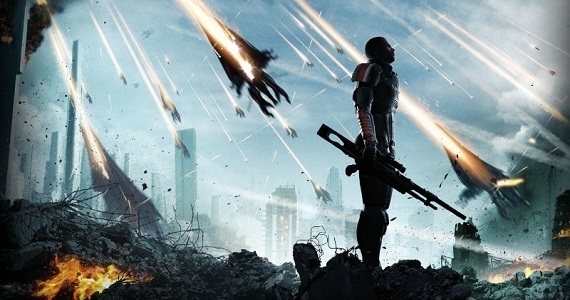 Mass Effect: the future of story-telling? 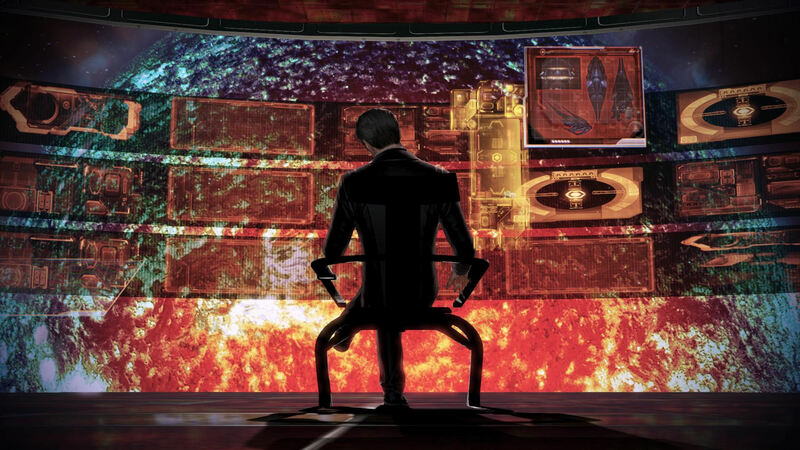 EFFECTIVE: Mass Effect’s mysterious character known only as The Illusive Man. Today I finished the action-adventure game Mass Effect 3 on Xbox 360, which I launched into straight after finishing Mass Effect 2. This franchise has been something of a phenomenon in recent years and the buzz seemed to have passed me by. I have to thank my friend Dr Mitchell Hobbs for strongly recommending that I check it out. The universe of Mass Effect is vast and realised with an often breath-taking beauty. The environments are rich in detail and painstakingly rendered. But the most impressive thing about Mass Effect 2 and Mass Effect 3 is the crafting of a character-driven narrative that is shaped by the player’s ethical and moral decisions. Even though the storyline is deeply rooted in existential ideas and philosophical questions, ultimately it is the audience’s own codes that dictate how they navigate the plot and address the various quandaries they find themselves in. Hobbs eloquently summarises the numerous references to other works of literature – mostly fantasy and science fiction – in the Mass Effect universe in his article Poetics of Life and Death: Or, why I love Mass Effect 3, though I must warn you that there are spoilers. But I highly recommend reading the article after you’ve completed the series. With an academic eye, Hobbs also outlines the grand ideas and concepts in the story and the role in which the “decision-making” construct in Mass Effect plays in realising these ideas. HERO: Mass Effect’s main protagonist John Shepherd. As a creative writer, I was really fascinated by Mass Effect and how it represents not only a return to the “choose-your-own-adventure” concept of story-telling but also a futuristic post-modern method of story-telling – one in which the “reader” is complicit in the experience. In early high school I was a big fan of the Jackson and Livingstone series of fantasy choose-your -own-adventure books, but the gimmick was limited because certain options ended in a gruesome death for the protagonist. There was no way forward except to start from the beginning and try again. This left me unsatisfied with the experience on both a literary and role-playing level. It meant having to mark pages and return to those options to navigate my way to a satisfactory conclusion. I would try to employ logic, but Jackson and Livingstone’s books often worked simply on chance. There was also a gaming element, in which you could acquire certain weapons and engage with enemies by rolling dice. That seems so wonderfully outdated now. It seems that Mass Effect has delivered a level of interaction and decision-making that the Dungeons and Dragons generation fantasised about. But unlike the books of Jackson and Livingstone, Mass Effect carries you toward a conclusion. As the brilliant Rockstar game LA Noire demonstrates, improved graphics can merge the lines between cinema and computer games. That particular game, of the detective genre, draws on the influences of Chinatown in a post-World War II Los Angeles. Real actors have been rendered into the game and their appearance and voice performance is nuanced and believable (most of the cast of Mad Men pop up somewhere). LA Noire is thoughtfully written and cinematic in its approach to characterisation and gameplay. It is both subtle and adult – as is much of Mass Effect 2 and 3. If the ultimate goal for both games and cinema is to make the imagination as real as possible – the logical endpoint is complete immersion for the audience. Complete control in a virtual reality. The receiver will be absorbed into a plot for a temporary period of time. Shaping that world is incredibly appealing for a creative writer. Now that three-dimensional televisions have entered the homes of consumers, the ball is rolling. Playing Mass Effect and LA Noire has peaked my interest in the idea of writing narrative, dialogue and characters for video games, which is a far more limitless proposition than novels or movies. Of course, long-form story-telling in television has come forward leaps and bounds (Boardwalk Empire, Game of Thrones, Mad Men), but the level of engagement in a video game is much greater. BOLD AND THE BLUE-TIFUL: An Asari member of your team, Liara T’Soni. Although in his article Hobbs does a far better job of analysing the themes in Mass Effect than I could, as well as defending the game from those people that found the ending either too boring or unsettling, I’ll mention a few of the major aspects that stuck with me the most. One is the theme of creation – the creator and his/her relationship with what they have created. This idea is central to a massive amount of science fiction – in fact, you’d have to assume that the writers of Ridley Scott’s Prometheus played Mass Effect before coming up with their Genesis angle. The terrifying revelation in Prometheus is almost exactly the same as the finale in Mass Effect 3. The idea of the “creator” and the “created” is obviously central to Christianity (and in literature ie Frankenstein and film, ie Blade Runner). In popular culture that idea has also taken the shape of organic lifeforms being usurped by synthetic lifeforms (think The Matrix, The Terminator). Mass Effect stops short of using the term “self aware”, but it does have a plot line involving an organic race creating a synthetic race only to be overrun by them. But Mass Effect also contains story arcs involving organic species who have lifted a lesser organic species for their own purposes, and then attempted to control and oppress them. The game taps into the innate human desire to control, and the sense of power derived from that pursuit. The extension to this is the idea of Man surpassing God, and eventually seeking to destroy God. Figuratively, this is happening now in the world around us as scientific exploration erodes the plausibility of Creationism. Though fanaticism will never disappear, you do get the sense that each new generation in the Western world will contain less Christians. REAPERS ATTACK: The detail in the action sequences of Mass Effect never fails to stun. The idea of the God entity using violent means to preserve, rule and protect the eternalness of its Creation – and subsequently feeling entitled to do so – is central to Mass Effect and takes shape in almost every plot line in the series (Krogans v Salaraians, Miranda v her father, John Shepherd v The Illusive Man, The Geth v The Quarians). The desire for the Created to seek and destroy the Creator is also present in the Jack v Cerberus mission in Mass Effect 2. The theme of the Creator feeling either a responsibility or a right to destroy the Created also appears in the Samara v Morinth subplot. 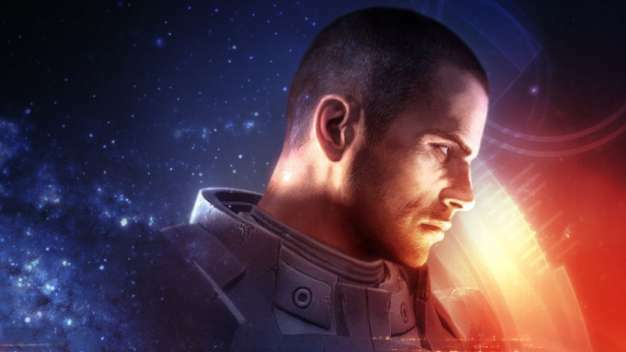 Like any good book, movie – or video game – Mass Effect makes its audience tackle big questions. Players are asked to sacrifice some characters and races for the sake of others. It’s a moral minefield. The player must look inward, and it’s this consequence that makes Mass Effect such a revelatory experience. In most of the final choices of Mass Effect, the question of necessary sacrifice to protect humanity is confronted head on. Will that sacrifice strip humanity of the very ideologies that the heroes fought to protect? At what point does humanity disappear or transform? Can it, ironically, be vanquished in the attempt to rescue it? Or is humanity a constant mutation? Mass Effect‘s ability to ruminate on these notions both holistically and on a tinier, individual level is a large part of what makes it a truly monumental achievement in story-telling. Kudos to the creators for their brave choices, unwavering vision and compelling and challenging conclusions. LOVE INTEREST: One of Mass Effect’s main characters, Miranda Lawson.